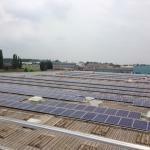 Construction will soon be complete on a 1.2MW rooftop solar PV system on the roof of Lebus Upholstery’s headquarters in North Lincolnshire, UK . 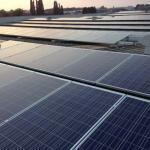 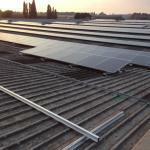 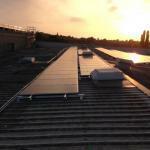 The project was exclusively sourced and developed by Solar Choice’s General Manager in the UK. 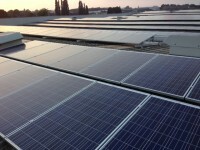 A funding facility was arranged through Blue Horse Finance, who were introduced to the project by Solar Choice’s UK team. 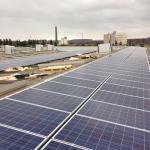 The project took close to two and a half years to develop, as various complications with structural and grid connectivity matters caused delays. 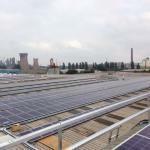 Although one of the largest rooftop arrays in the country, Lebus’ system still is eclipsed by Sainsbury’s massive multi-roof ‘solar panel network‘, which spans hundreds of the company’s supermarket chains and is expected to total 40MW by the spring of next year.